As Halloween is approaching these intrepid explorers are searching for things that go bump in the night. 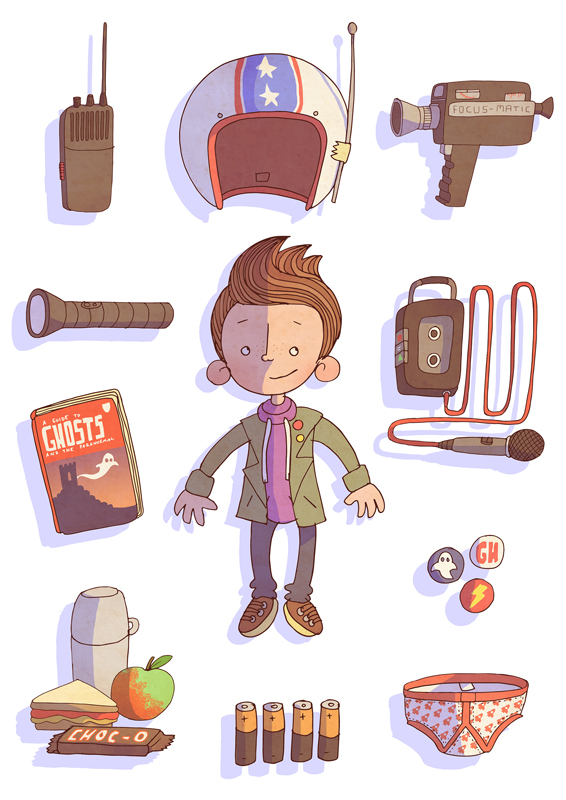 Ben Scruton’s ghost hunting crew and guide to ghost hunting essentials, are fantastic additions to his illustration portfolio. Ben’s characterisation skills and sense of humour shine through in these fabulous new pieces. To see more of Ben’s work, click here. Ben Scruton is represented by Kids Corner. Published on 26 October 2016.